Marketers don’t always know how to measure the effectiveness of digital ad campaigns. Often, they receive conflicting direction from their leadership — or from the industry — about gauging the success of marketing campaigns. Some industries, like healthcare, and B2B, are transforming how they measure and execute advertising campaigns. 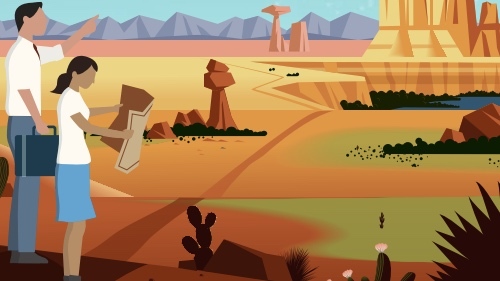 Here are five best practices to demystify digital advertising success metrics — use them to better understand the impact of digital ads and optimize your campaigns for success. To quantify the success of a lead generation ad campaign, you will want to track the quantity, yes, but especially the quality of new leads. For a more nuanced view, track measures like return visitors in Google Analytics (did new leads find value in your content?) and customer drop-off (where are new leads dropping out of their journey?). Trends could reveal barriers to conversion, such as misleading CTA messaging or clunky website forms. For brand awareness campaigns, reporting impressions and likes still matter. However, measures that show how your audience interacts and engages with your brand can be better indicators of success. These include metrics like shares and click-through rates to a landing page or website. Certain measures, like downloads and click-through rate, are more valuable than others, such as likes or views. This is because when users download your content or click through to your website, these actions indicate that they find value in what you’re providing and want to further engage with your brand. Marketers struggle with knowing how and when their customers want to hear from them. You know that showing a customer an ad only once may not be enough to nudge them to convert. Showing them an ad 50 times, though, is likely to annoy them. How can you find the right balance? The answer is data. Data can help you home in on the best way to reach your customers. By tracking your data, you can determine: which topics they engage with most; when, where, and how often to serve them ads; and when to retarget. Once you have a full understanding of how ads perform on individual channels, start expanding your measuring efforts to gauge how cross-channel efforts are working together to maximize impact. For example, did the same customer interact with you through both a social ad and paid search? How many interactions did it take — across all your channels — before they converted? 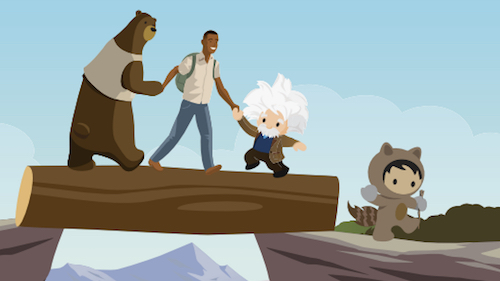 A key theme of Salesforce’s Digital Advertising 2020 report is that advertisers are turning to new metrics to gauge the success of their campaigns. According to the report, 27% of advertisers cite “lifetime value of a customer” as an important metric to optimizing their digital advertising. Tracking performance across every channel is essential to understanding valuable measurements like these. In a data-driven world, understanding metrics is the best way to gain a full view of your customer and how they experience your brand. For example, say you’re building a lead generation campaign for a B2B brand. You see that a customer subscribed to email through a digital ad. Then, they opened four emails over two weeks, engaged with an ad on social media, and spoke with a sales rep. Four weeks later, they made a purchase. Tracking this data across all your customers shows you precisely how and where customers engage over their full journey, so you can set benchmarks for building even more effective cross-channel campaigns. 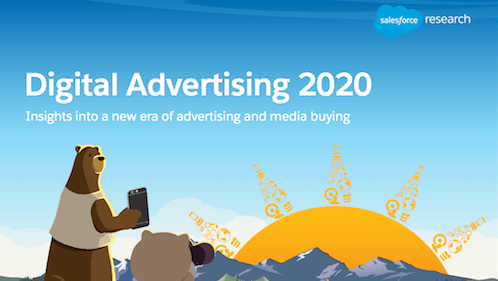 Check out the latest trends in digital advertising in the full Salesforce Digital Advertising 2020 report.